Take a moment to watch Arslane Merabet's whimsical take on the shop! ... then scroll through his other great video work! 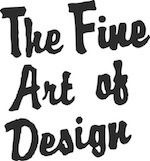 You are currently reading A Brief Introduction... at THE FINE ART OF DESIGN.